Situated just outside the village of Glamis in Angus, Scotland, and around 12 miles inland from the North Sea, Glamis Castle stands proudly. The monumental landmark rests comfortably in the northeast of the country, with the surrounding estate covering more than 14,000 acres of beautiful gardens, while the present building dates principally from the 17th century. 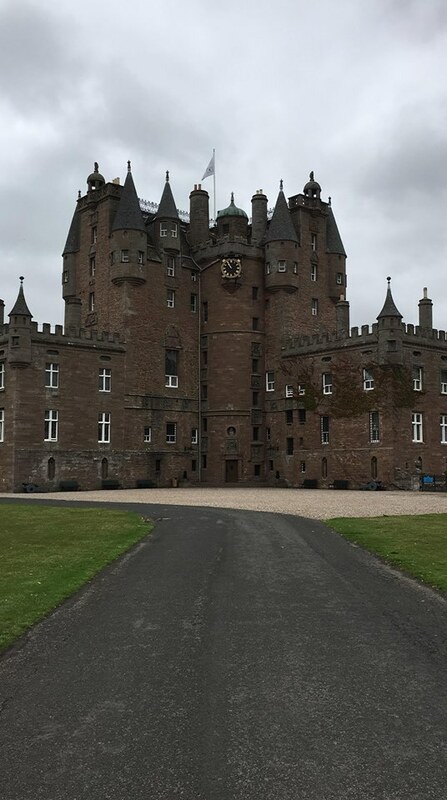 Not far from the popular city of Dundee and the highly sought after seaside town of St Andrews, Glamis Castle epitomises Scottish heritage and warmth. Steeped in history, this beautiful and brilliant castle has played host to countless memorable incidents over the centuries in the proud nation of Scotland, and currently acts as the family home of the Earls of Strathmore and Kinghorne. More significant, however, is the rich history the building possesses. The castle not only boasts the setting for Shakespeare's legendary Macbeth, but acted as the childhood home for both the Queen Mother and HM Queen Elizabeth, and furthermore represents the birthplace of yet more royalty in Princess Margaret. 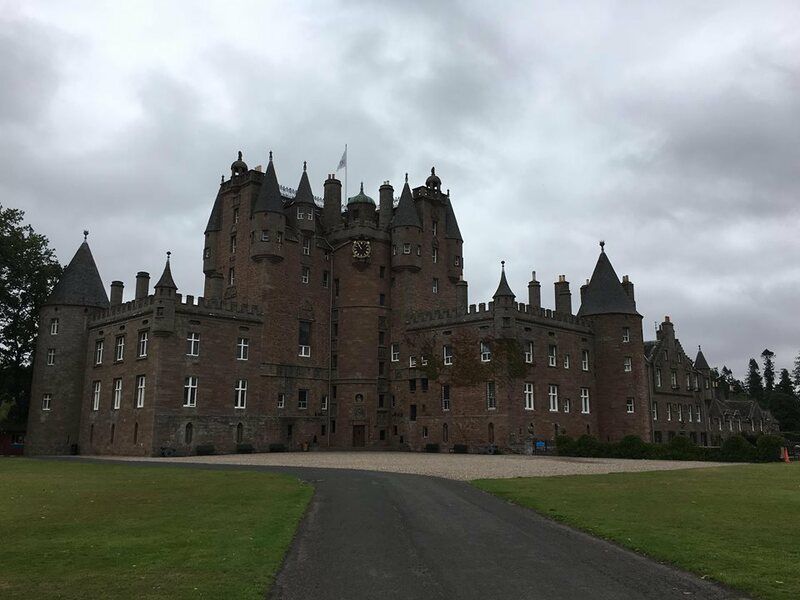 Glamis Castle, despite its fascinating, extensive history, is open to the public, and tours run daily, where experienced and enthusiastic tour guides explain the idiosyncrasies of the colossal building. Each and every room has its own story to tell, where paintings, furniture and even a flawless snooker table bring their respective rooms to life. The small chapel inside the castle interestingly has a capacity of 46, although one seat is always reserved for the 'White Lady', the ghost of Lady Glamis, just one of the many several legendary tales that are brought to life throughout the memorable tour. 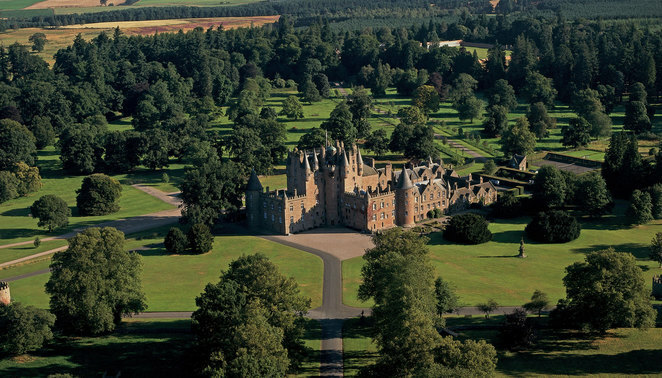 Outside the castle, visitors can enjoy the sheer natural beauty of the surrounding gardens, where the castle's towers and turrets are immediately recognisable, with the mile-long driveway a somewhat formidable entrance to such impressive and majestic scenery. Immersed in stunning antiquity, Glamis Castle truly is a sight to behold from both outside and in, and has maintained all its splendour and glory despite lying near-dormant in a hugely unexplored part of the world.